Not Sure If Chiropractic Is Right For You? Ask a Shelby Township Chiropractor! What is health and where does it comes from? What is Chiropractic and how can it help me reach my healthcare goals? How can we prevent illness? When should someone start chiropractic care? Answers to the “myths” about chiropractic? What makes Bassett Family Chiropractic different? This is a great opportunity for you to see if chiropractic is right for you. 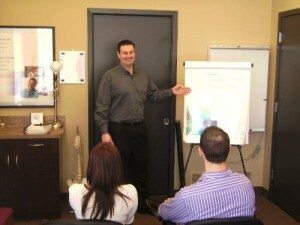 Come and find out for yourself what Bassett Family Chiropractic is all about before you make any commitments. This is NOT a sales seminar it is strictly for information and we will not try to solicit you in any way. All of our practice members come to this seminar and it is a lot of fun.